MOST MUSLIMS AROUND THE WORLD THIS YEAR WILL CELEBRATE THE EID AL-FITR FESTIVAL ON WEDNESDAY JULY 6, COMMEMORATING THE END OF RAMADAN 2016. Eid Al-Fitr is expected to be on Wednesday July 6, but as per Muslim tradition, it can only be confirmed based onSIGHTINGS OF THE MOON on Monday July 4. If the Moon is seen on Monday then the lunar month of Ramadan will have ended after 29 days and Eid Al-Fitr will be on the next day on July 5. 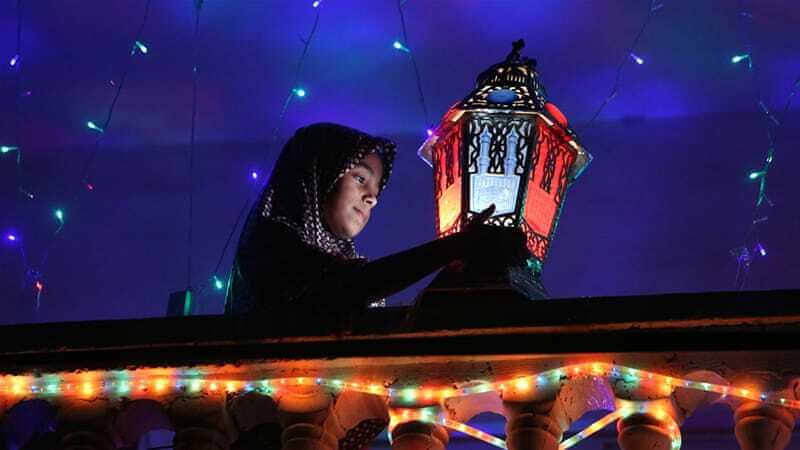 But if the Moon is not seen as NASA predicts, Ramadan will be assumed to have lasted 30 days and the start of Eid will be celebrated on Wednesday 6. In the USA, the Fiqh Council of North America (FCNA) announced that Eid Al-Fitr will be observed in the United States on Wednesday 6 July, based on astronomical predictions. The Charity groups Islamic Relief Canada and Islamic Relief UK also predict the Eid to be on July 6. In the UK, the Mayor of London Sadiq Khan will host an Eid food festival in Trafalgar Square on Saturday, July 9. The charity group Islamic Relief UK predicts this year’s Eid will fall on Wednesday, July 6, 2016. Traditionally, Eid-Al-Fitr is celebrated for three days and is an official holiday in all Muslim majority countries. Turkish Prime Minister Binali Yildirim announced on Thursday that Turkey will observe a nine-day public holiday for Eid Al-Fitr, from Saturday, July 2 until Sunday, July 10. The official holiday, however, will be for three days, from Tuesday July 5 until Thursday July 7, 2016. Together with the weekeed, this allows public sector employees to enjoy a six-day holiday from Tuesday until Sunday. Eid-Al-Fitr is also known in Turkish as “Seker Bayrami” or “Ramazan Bayrami”. Bangladesh also announced a nine-days public holiday, starting from July 1. Saudi Arabia, the UAE and Qatar are also likely to observe a three-day public holiday over the same period. In 2015 Eid Al-Fitr was on Friday July 15, and the UAE’s public sector declared a five-day Eid holiday, from Thursday July 16 until Monday July 21.